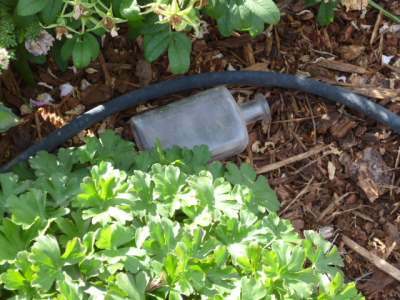 Installing drip irrigation systems is an economical way to save water and benefits your garden (and the planet) in other ways too. 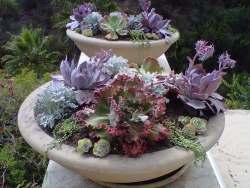 Water conservation is becoming more and more important both in designing new gardens and retrofitting established ones. Drip irrigation provides steady, even moisture to the root systems of plants, unlike spray watering with sprinklers which wastefully evaporates in hot areas. Using soaker hoses is about halfway in between these two systems, but with less accuracy than drip irrigation and more wasted water, while still delivering the water to the base of the plants. Drip irrigation works best on flat areas although there are special drip emitters that will equalize the amount of water on hillsides or uneven ground. Different emitters will provide water evenly to the plants when properly calibrated; professional installers can do this for you. Drip irrigation systems can be installed on the top of the planted bed; not only is this ugly but the composition of the pipes will break down quickly under exposure to ultraviolet light from the sun. Bury the pipe under a few inches of mulch and they will last for several seasons. emitters or smaller tubes off those directed at the base of each plant. Each emitter will serve one or more plants a measured amount of water, controlled by a timer to turn the water off at the source. The way this conserves water is that there is never water on the surface of the ground or on the plant that can evaporate and be wasted – it all goes to the root system of the plant. 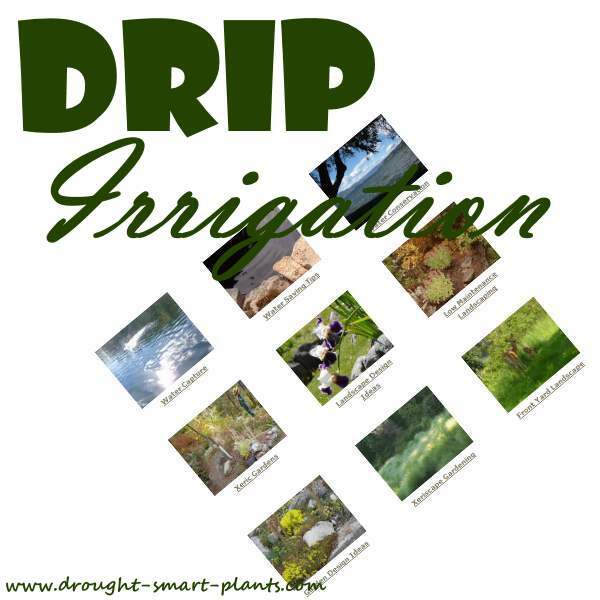 In Permaculture, sustainable gardening and xeriscaping, drip irrigation systems are one more strategy to create a low maintenance and water conserving garden.